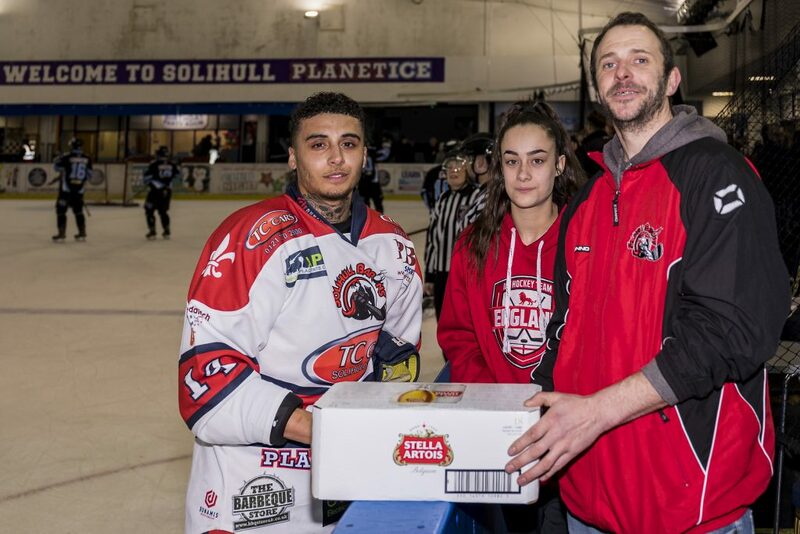 The TC Cars Solihull Barons would count themselves unlucky to at least not get a share of the points in a closely fought tie against a strong Solway Sharks side. Despite some idiosyncratic officiating the game was enthralling with a lot of good hockey on display by both sides. 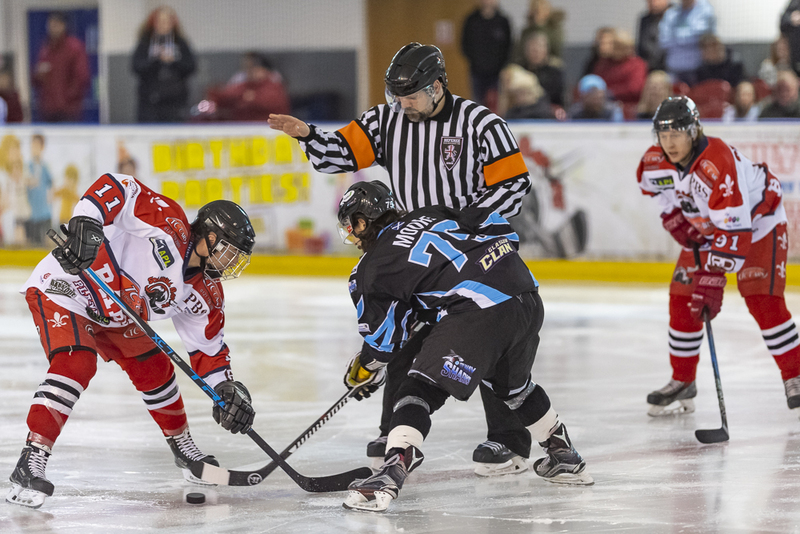 Despite a late start to the game after the coach bringing Solway got stuck in M6 traffic woes the first period was a highly entertaining affair played at high pace between two well-drilled squads. It would be the Barons who got the opener as Dave Rogers found Elliott Farrell and ultimately a crease edging Filip Supa for the opener a little shy of six minutes. 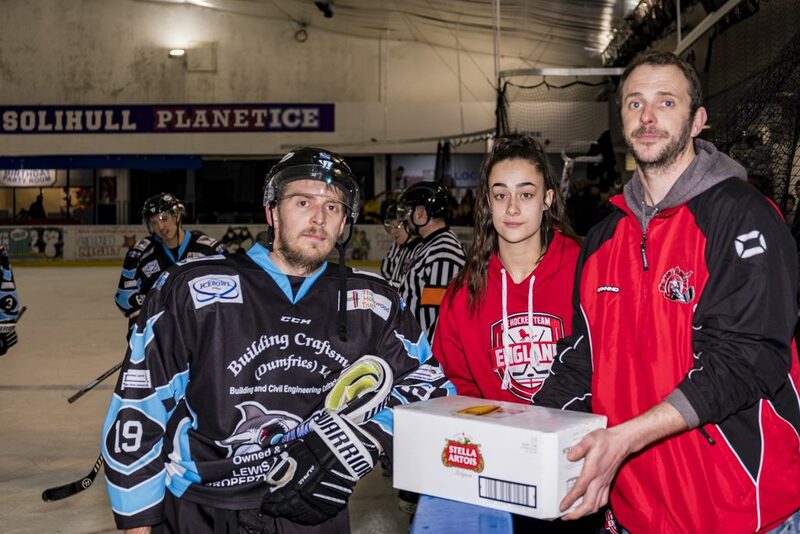 The Scottish side were equal to the challenge however and when the Barons gave away the puck to a grateful Richard Bentham in their own end the Solway man quickly found Lewis Houston for the equaliser. While both sides would continue to have chances the scoreline would remain 1 all for the remainder of the first. 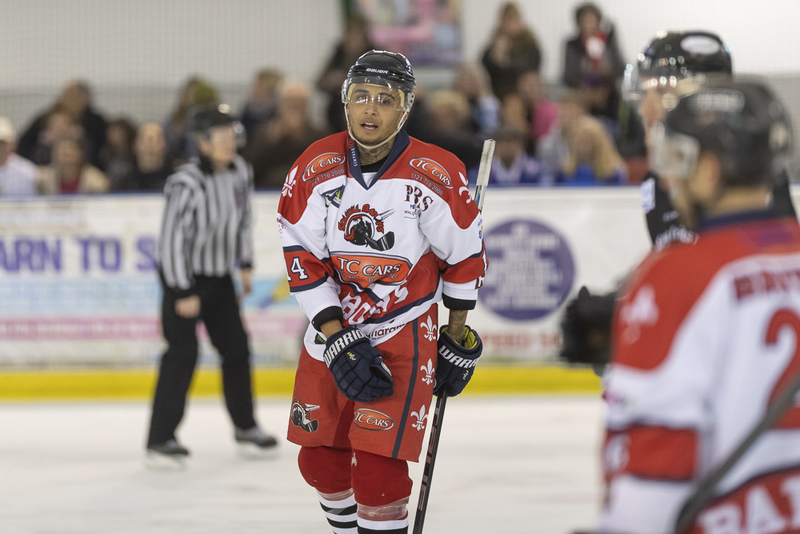 Into the second and it would be Solway who would be first to find the net as Richie Bentham fired a rocket in on the undefended and open right hand side of the Solihull net on 26 minutes. The Sharks lead would last barely a minute before Filip Supa found space and slotted home a lofted shot for the equaliser. 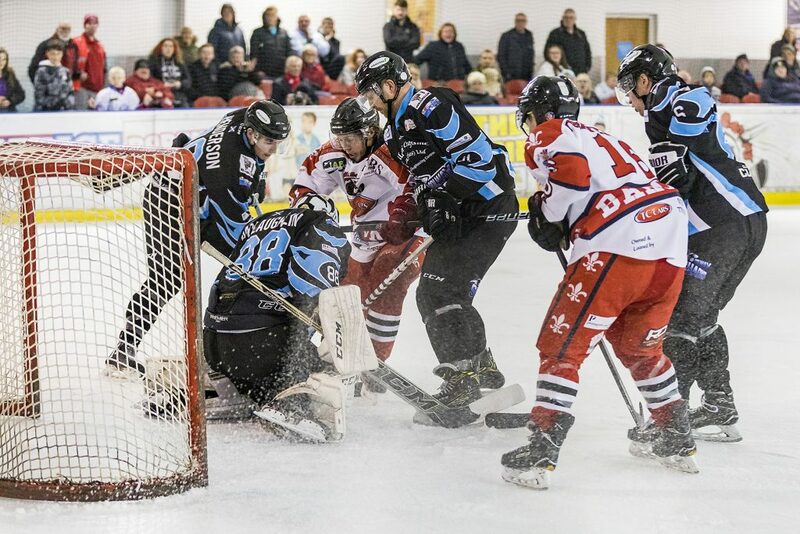 The visitors headed to the dressing room with the advantage however after Peter Gapa tapped in from close range past a prone Sam Hewitt to see things 3-2 in favour of the visitors heading into the final twenty minutes. 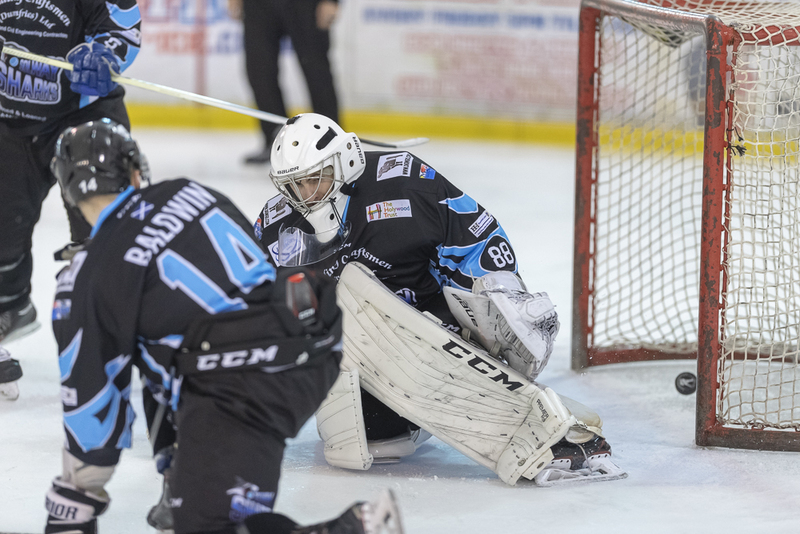 The Sharks would extend their advantage further in the 45th minute as Iain Bowie tapped the puck in on the right hand post a fraction faster than Hewitt’s leg could cover it. 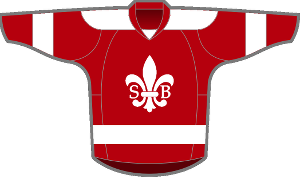 The Barons however pegged the advantage back to a single goal after Adam Brittle made the most of fast moving goal mouth traffic to bringing Solihull within touching distance of a second overtime game in 48 hours. 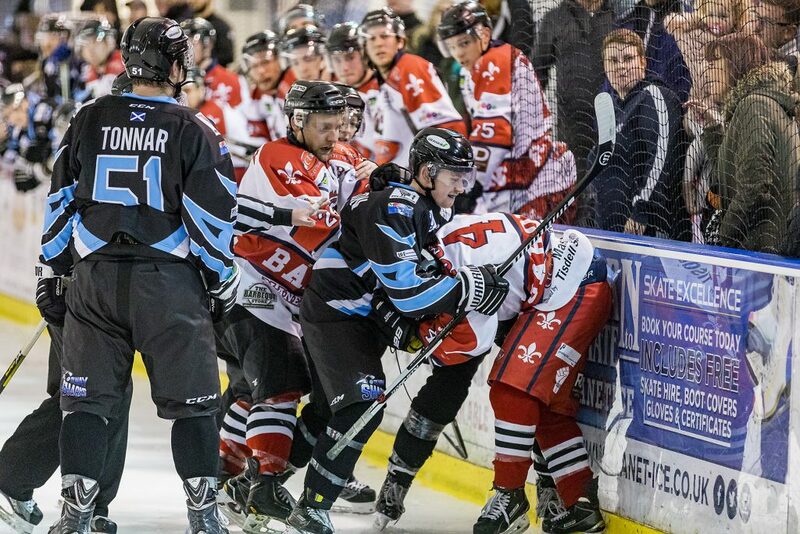 Penalty trouble would spell an end to the Barons hopes allowing the Sharks to take the points on their long journey back home. 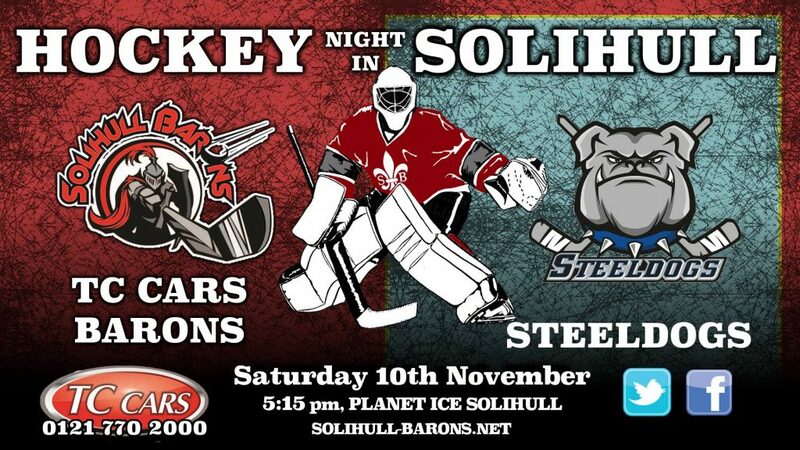 The Barons return to the ice on Saturday when the Sheffield Steeldogs head to Planet Ice Solihull. The ‘Dogs are currently heading up the Moralee table with an undefeated record so should be putting on a very slick display for the Barons to counter. Face-off 5:15pm.